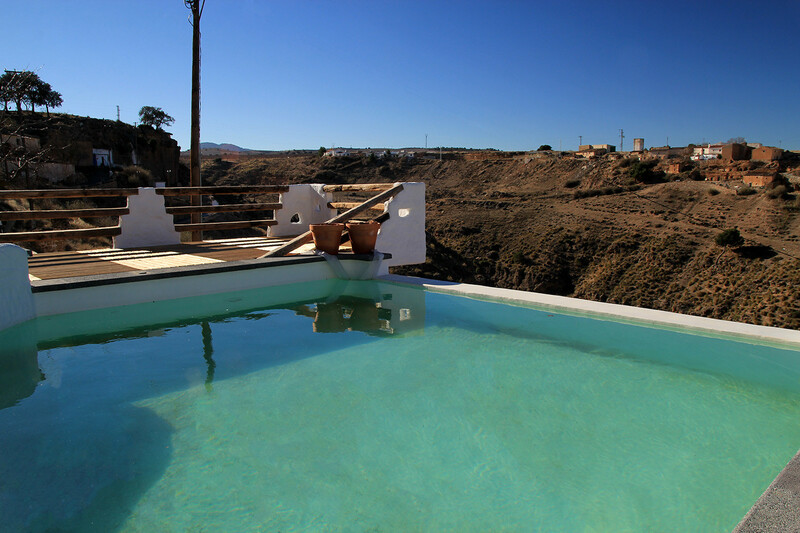 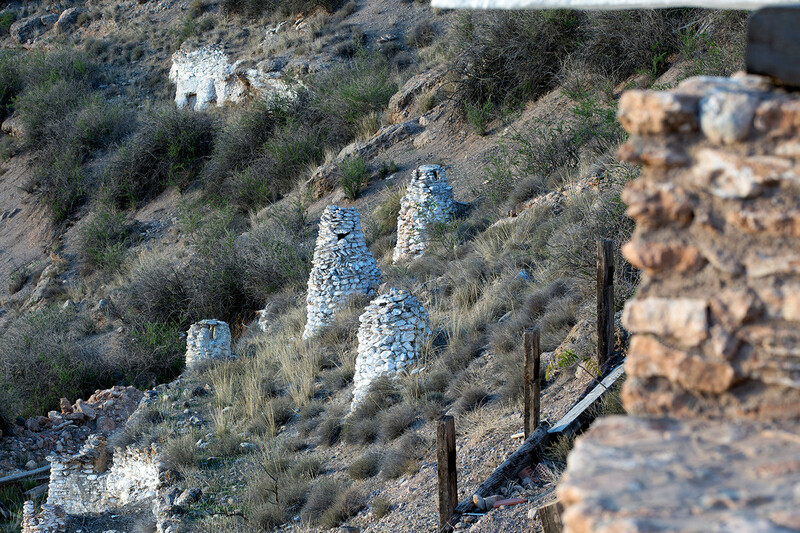 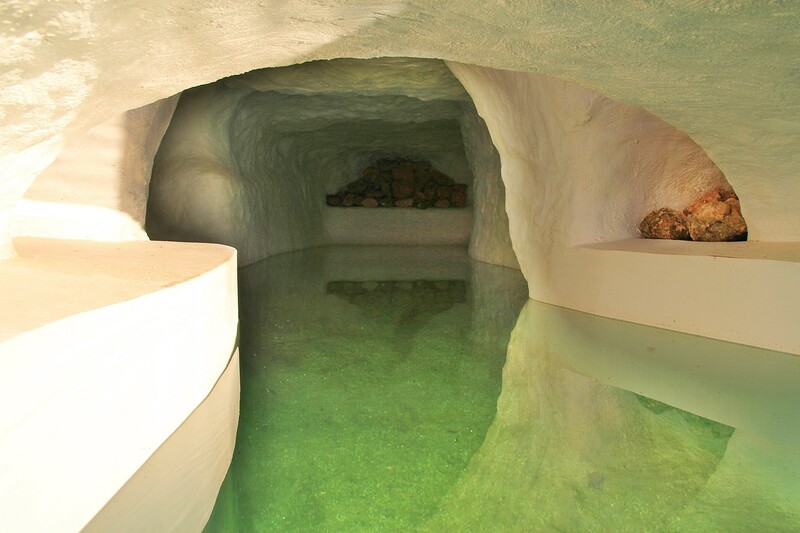 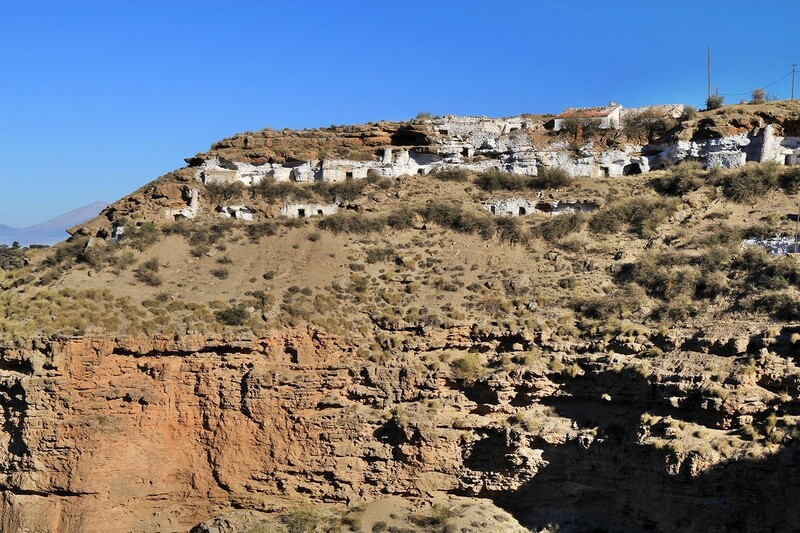 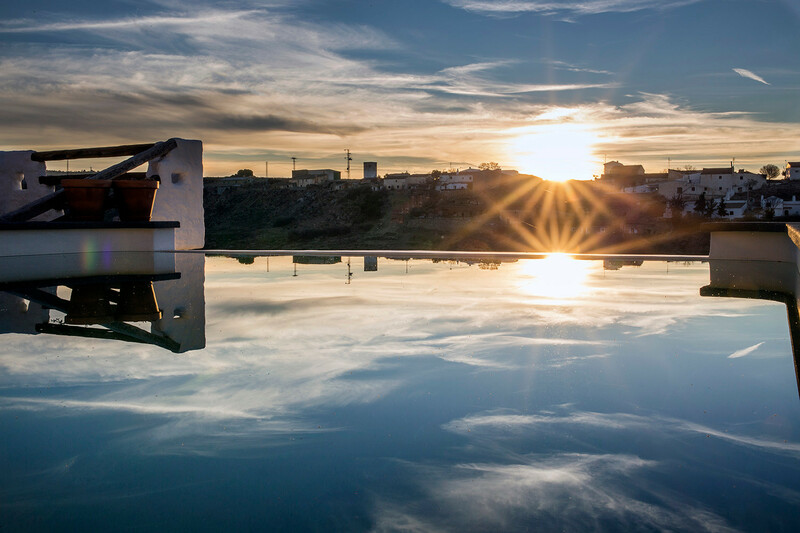 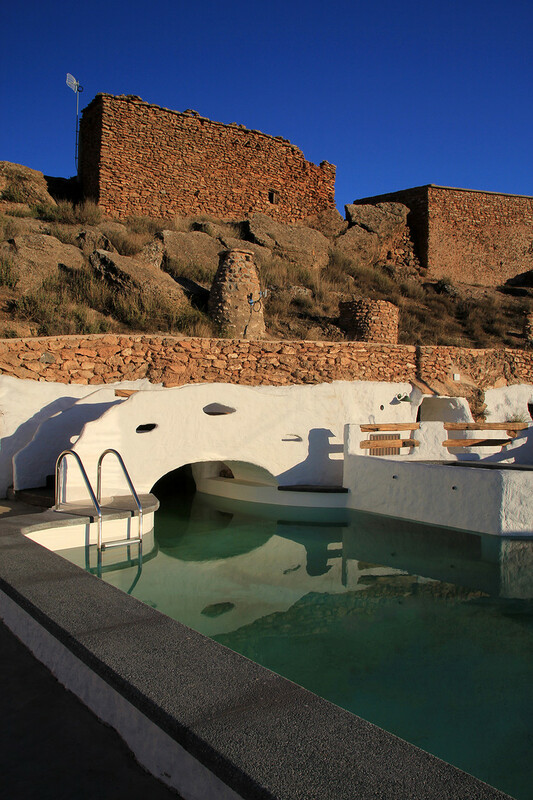 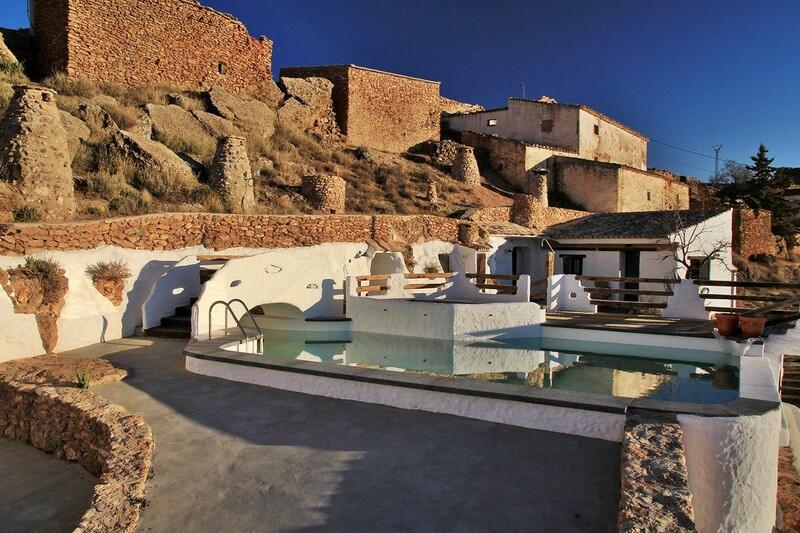 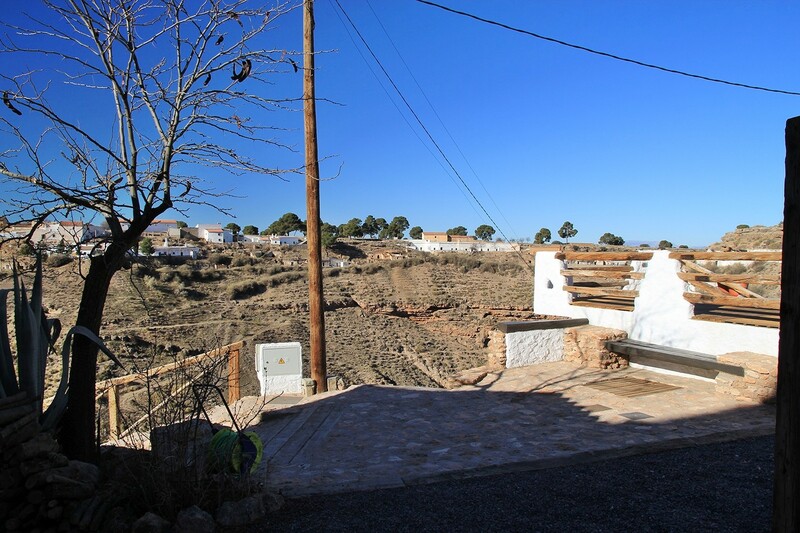 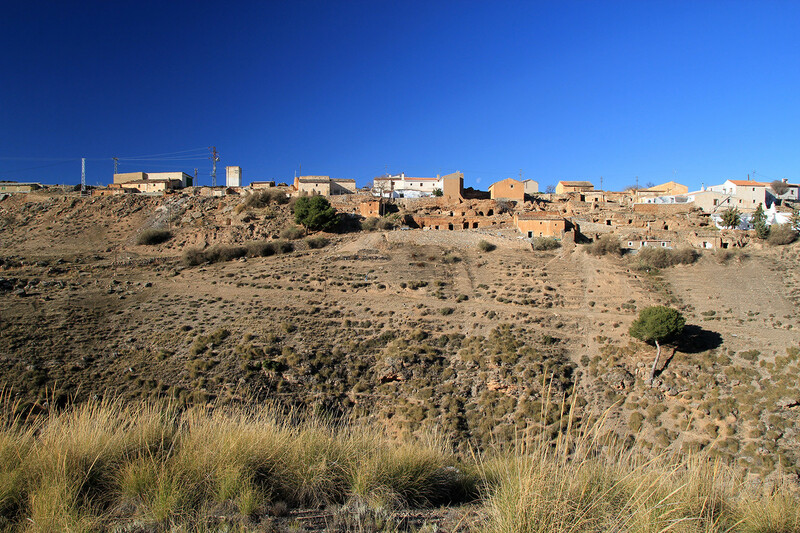 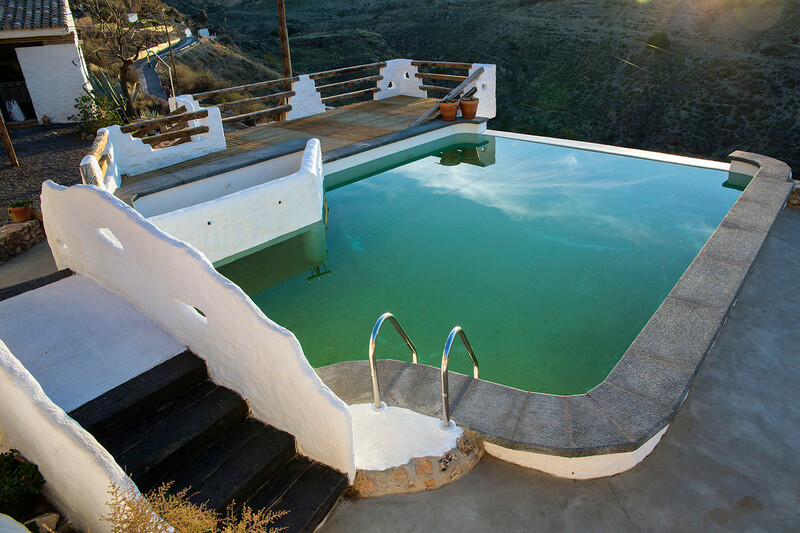 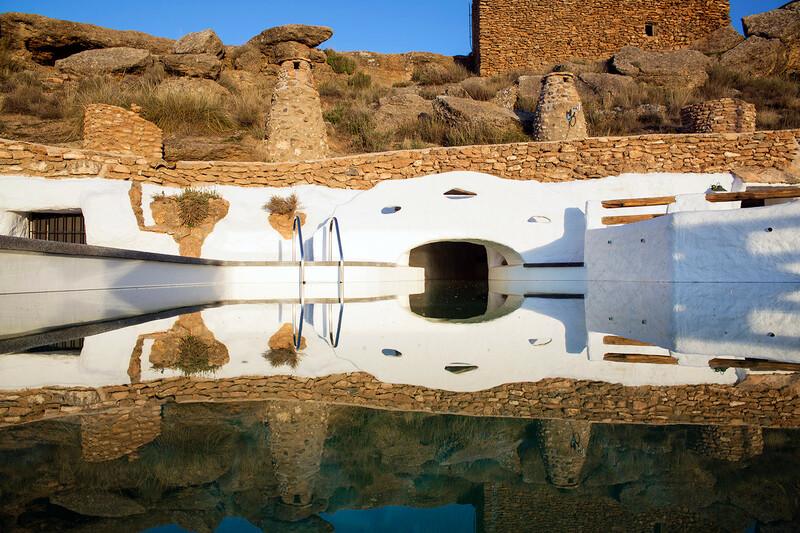 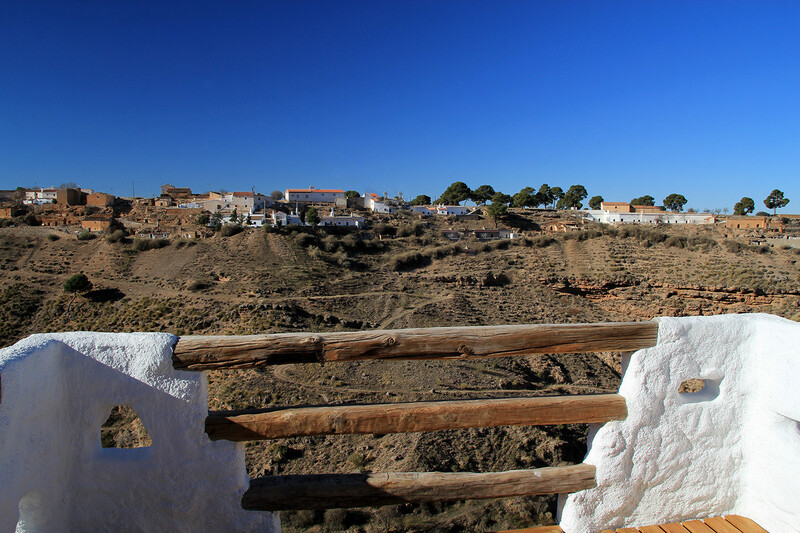 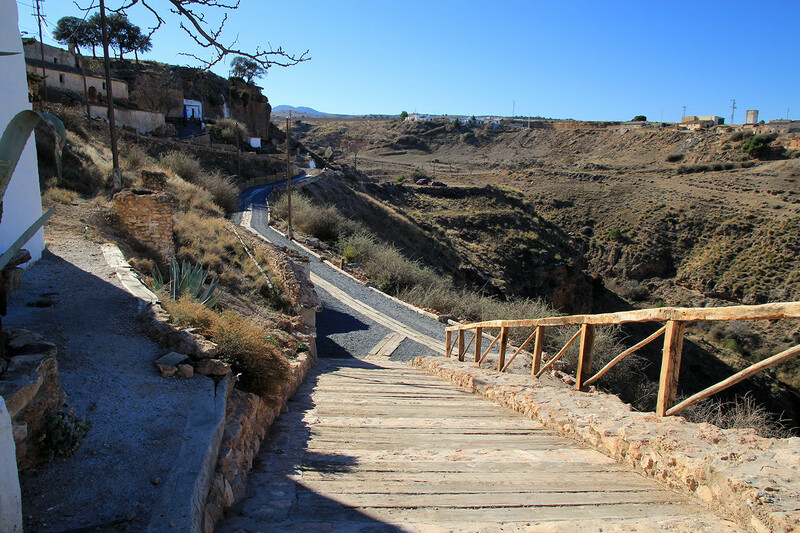 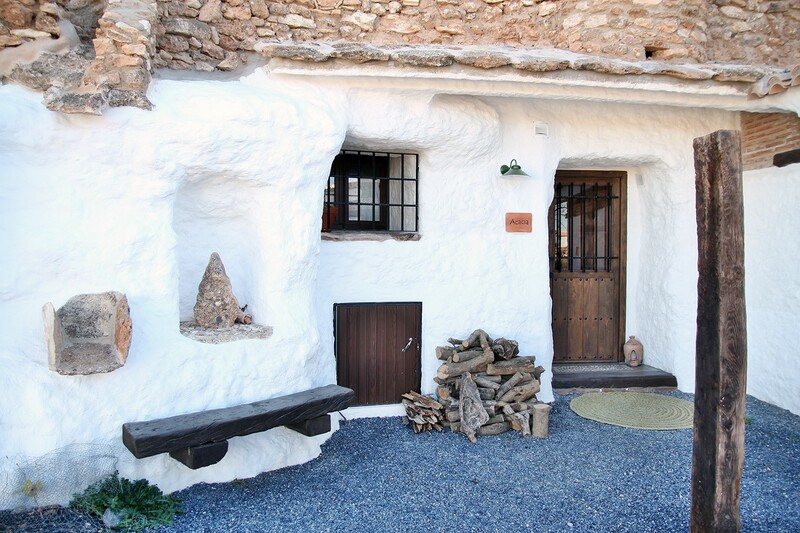 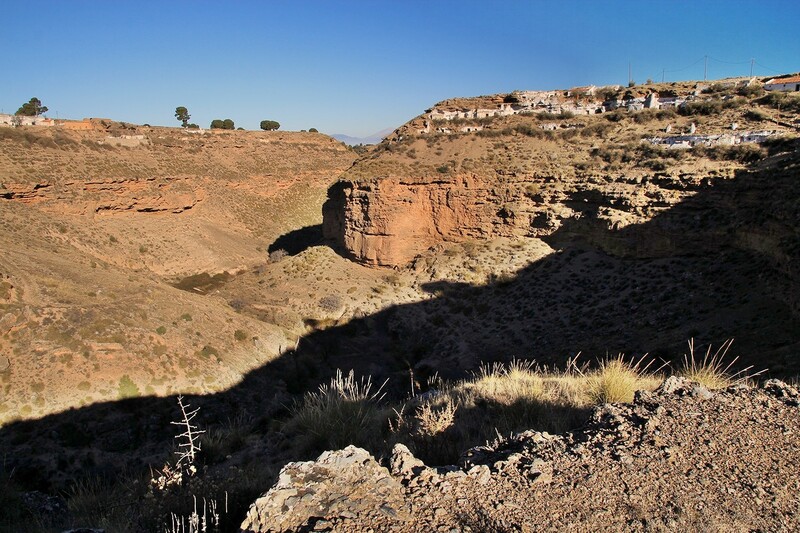 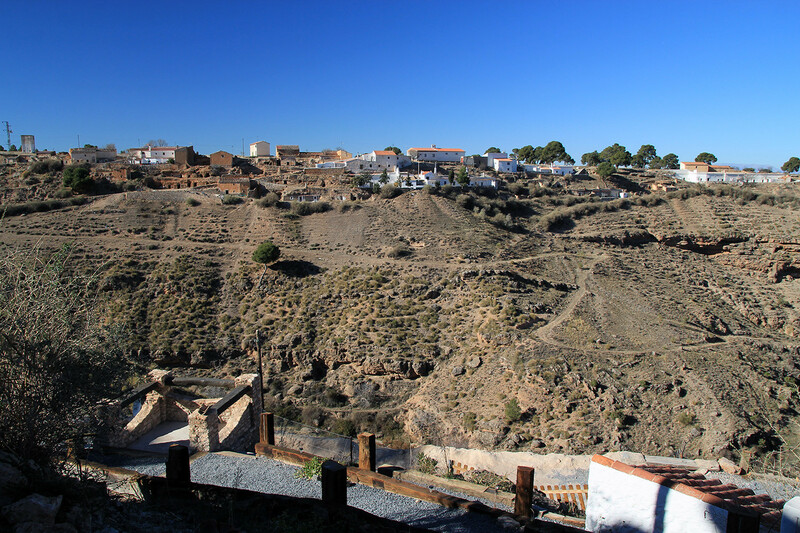 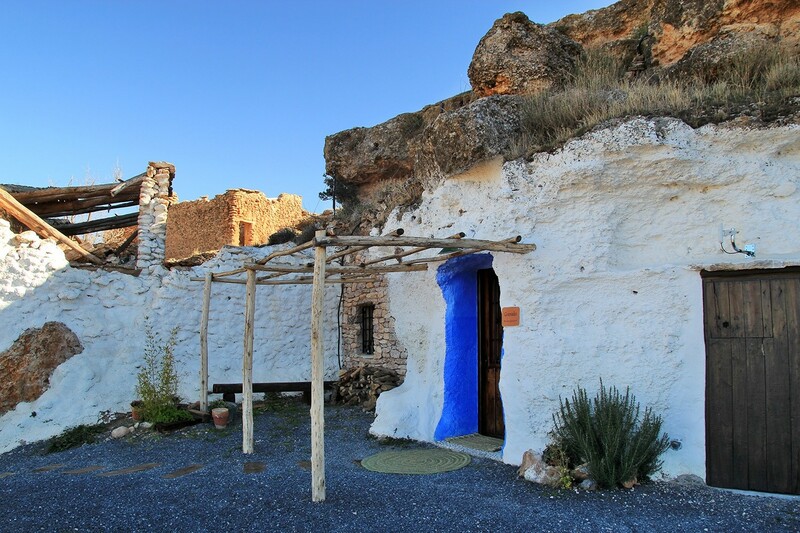 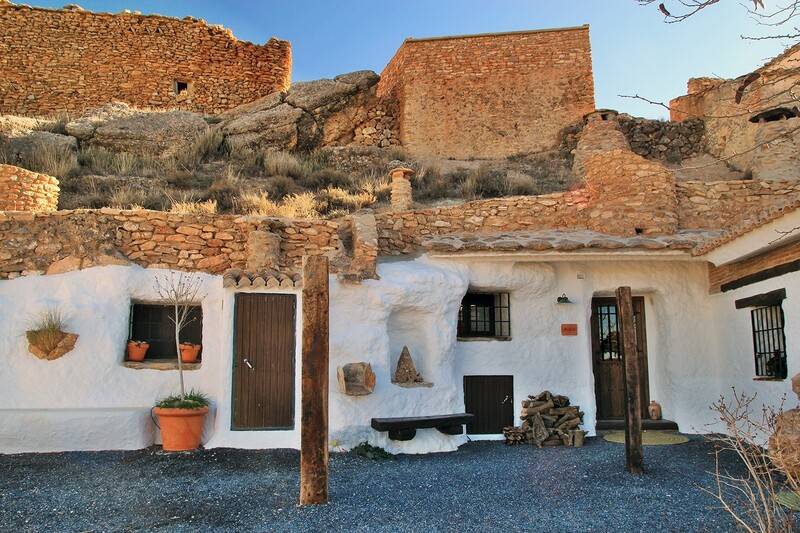 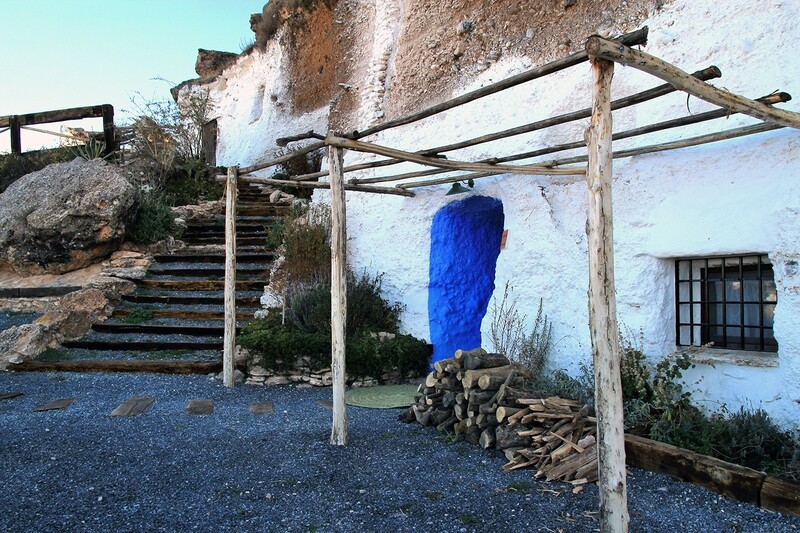 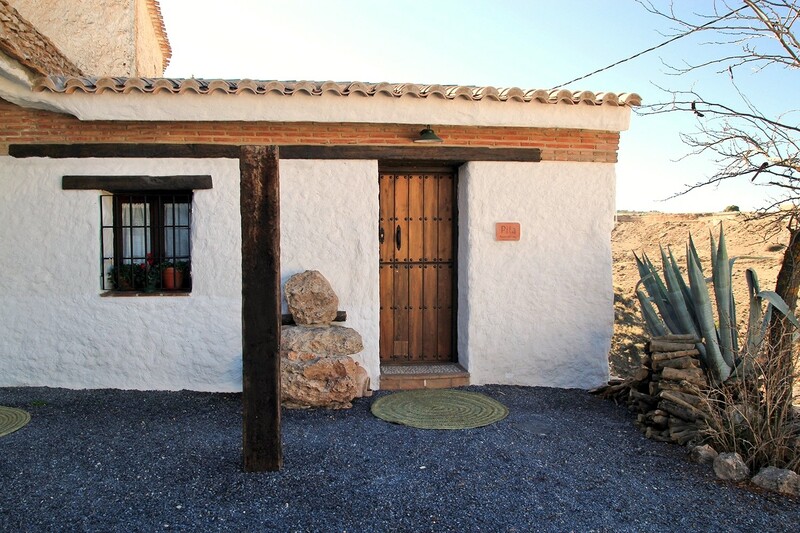 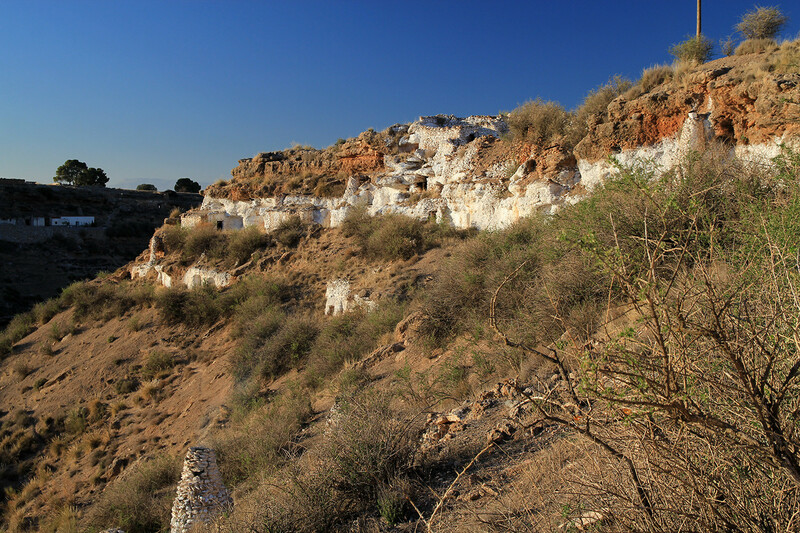 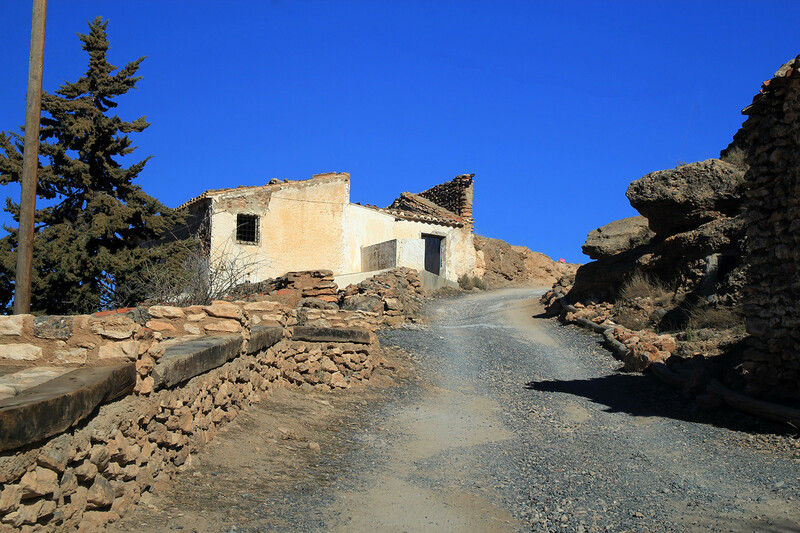 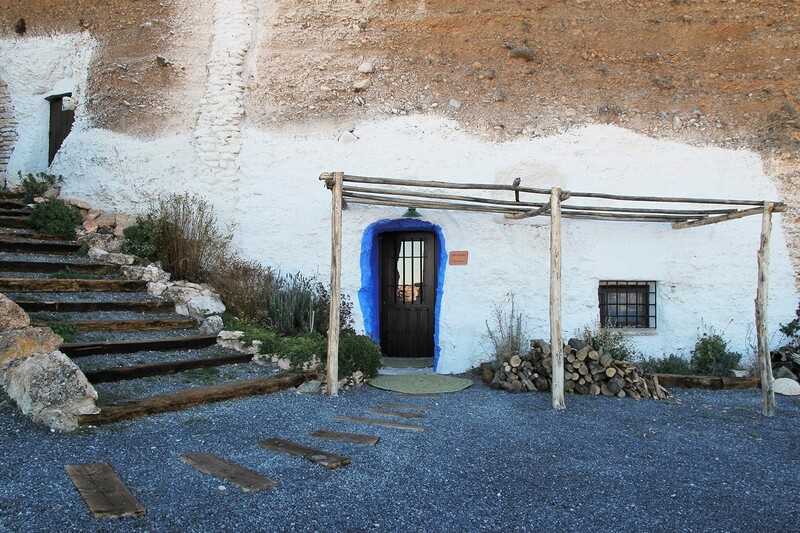 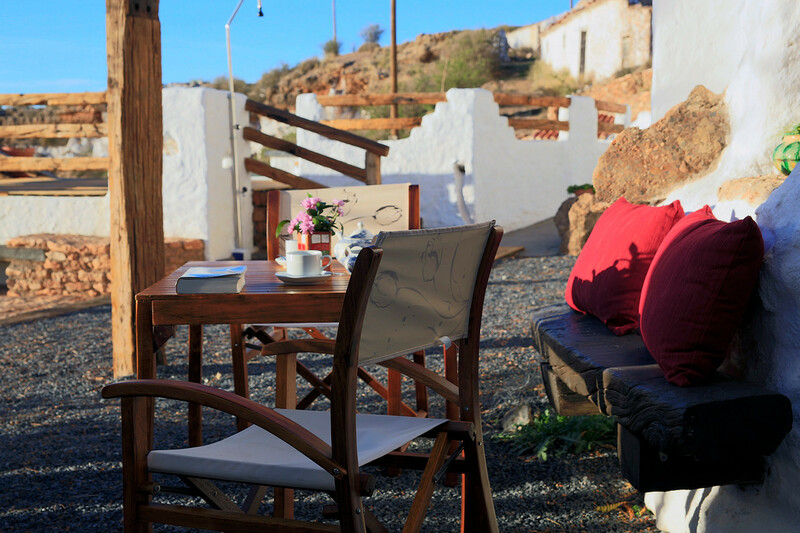 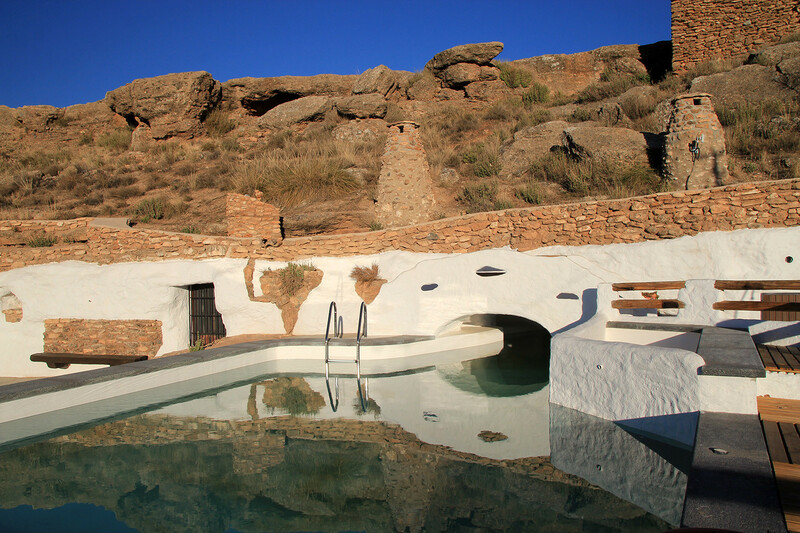 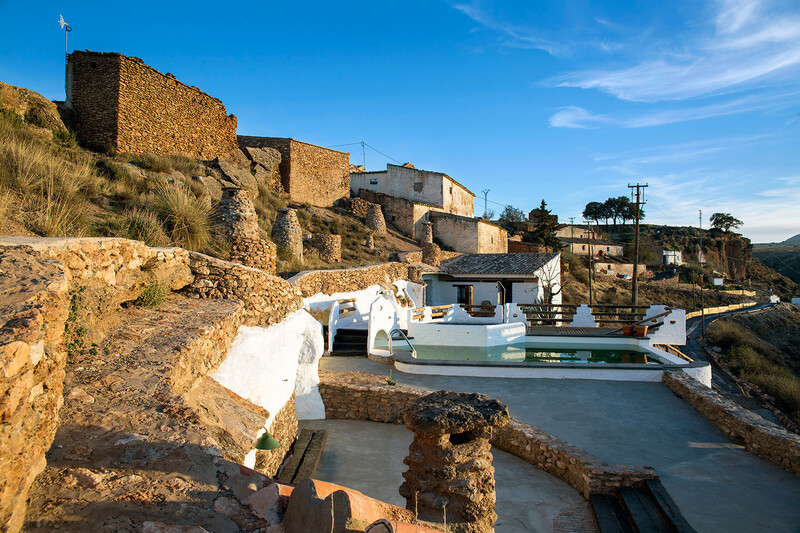 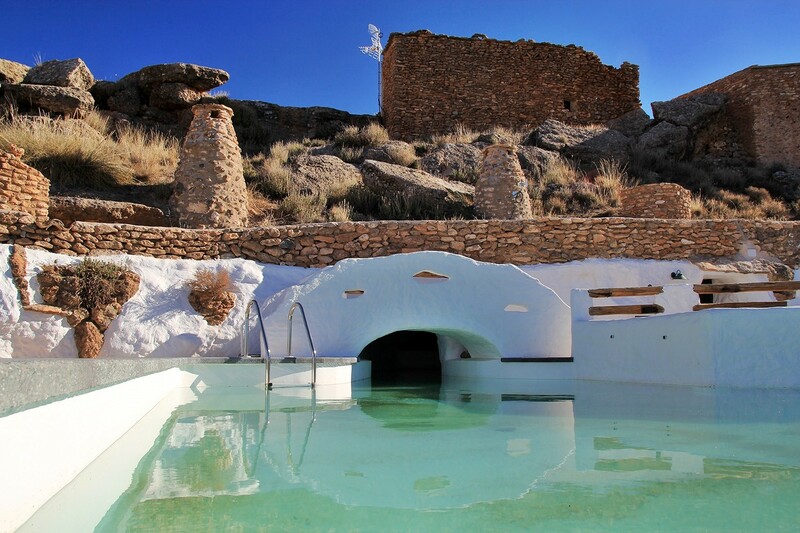 This charming cave complex is situated in a small ghost town at the edge of an impressive canyon in the region of Guadix. 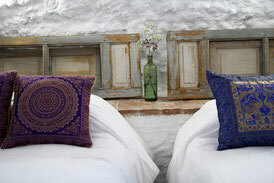 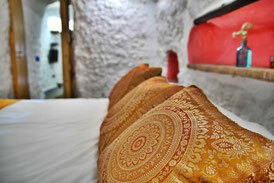 It is offering in total 6 cave houses. 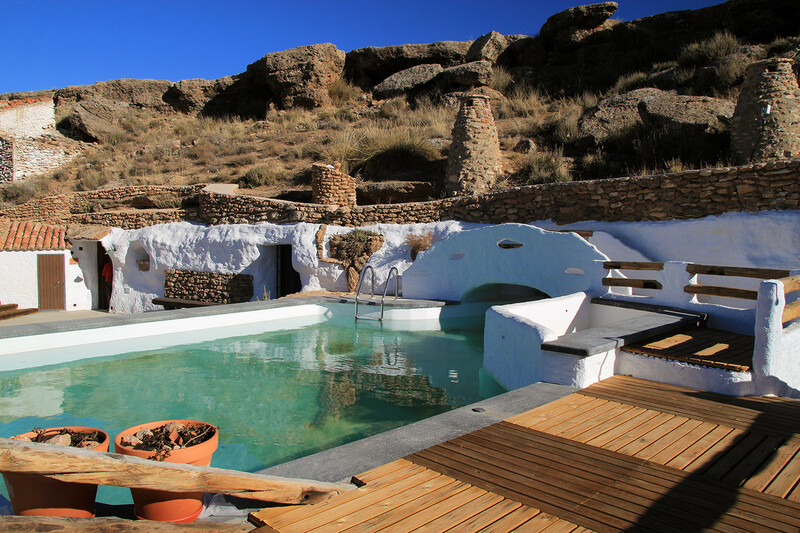 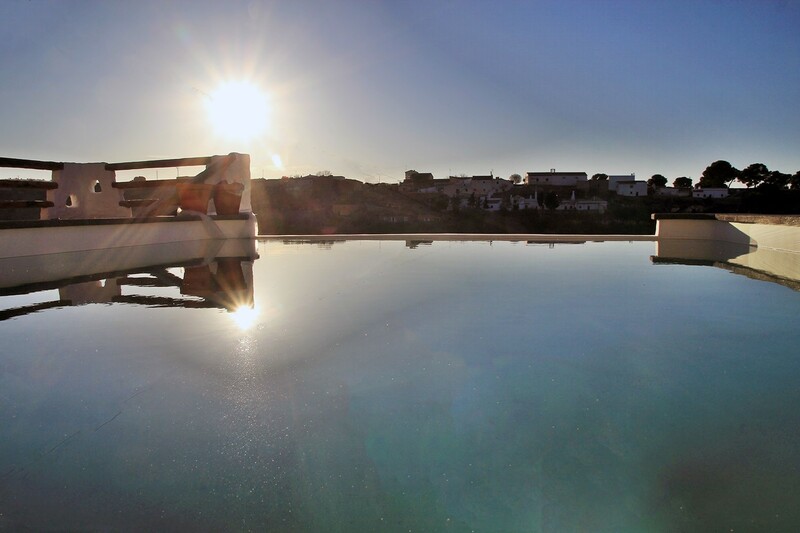 It has a spectacular swimming pool of which the water seems to flow into the canyon an at the other side the swimming pool is disappearing into the mountain; into a cave of 8 meters long. 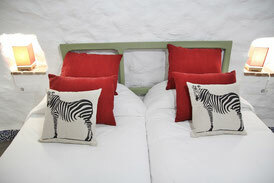 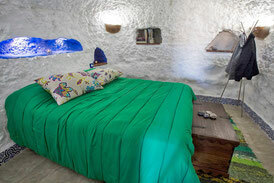 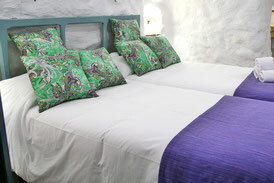 The difference with other cave houses in the region is that these cave houses are furnished with high quality materials and quality furniture. 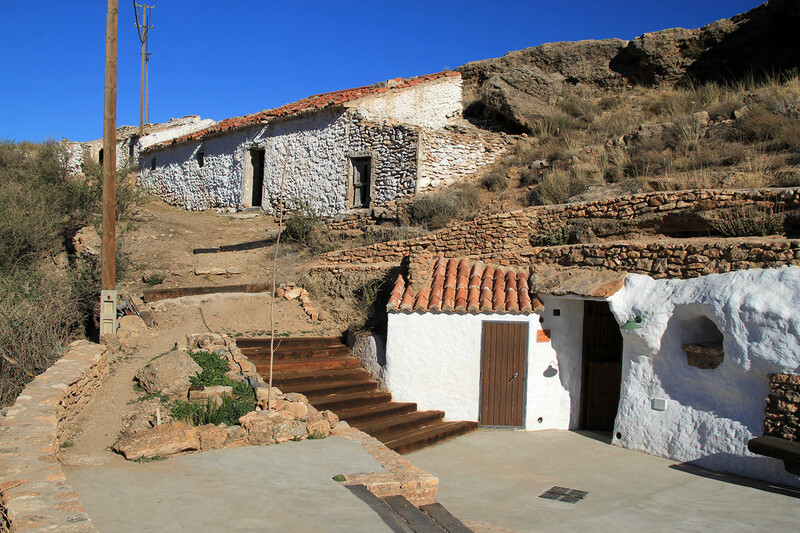 The caves are totally integrated in their environment; you will for example not see any antennas; they are hidden behind small brick walls. 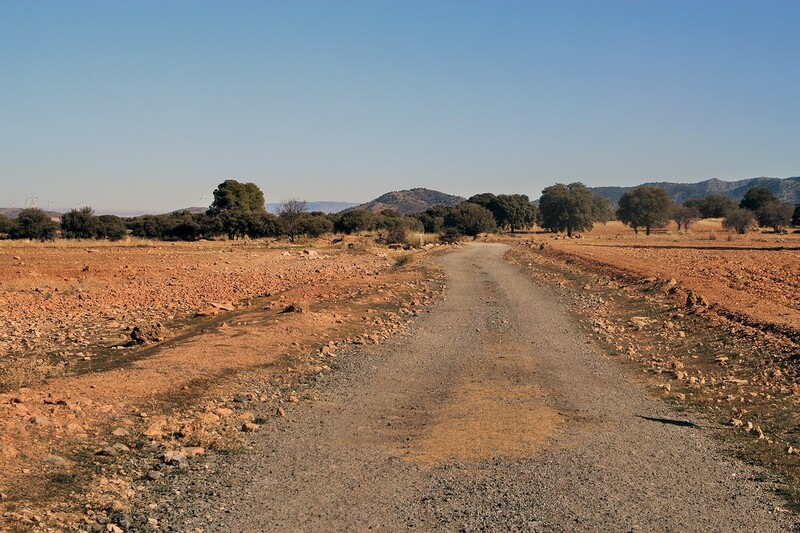 The complex is accessable by a dirt road of 1 km. 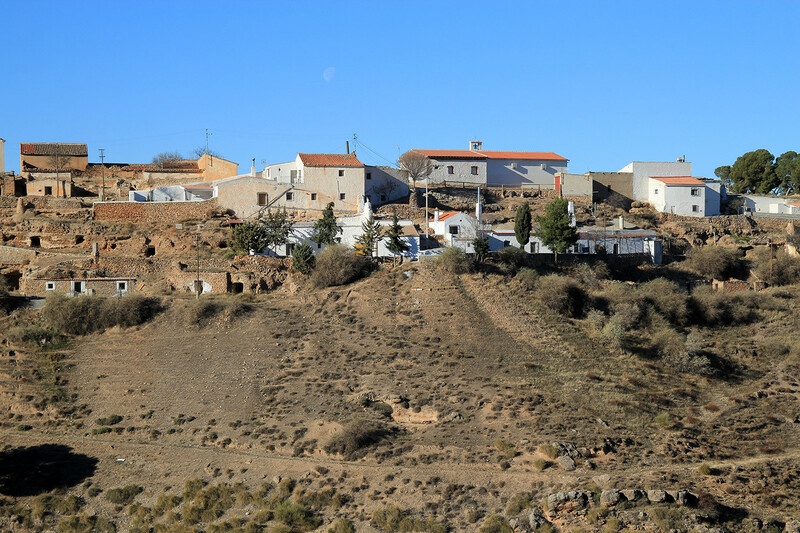 The nearest town which has all the facilities is Bácor (11 km) or the city Baza (20 km).